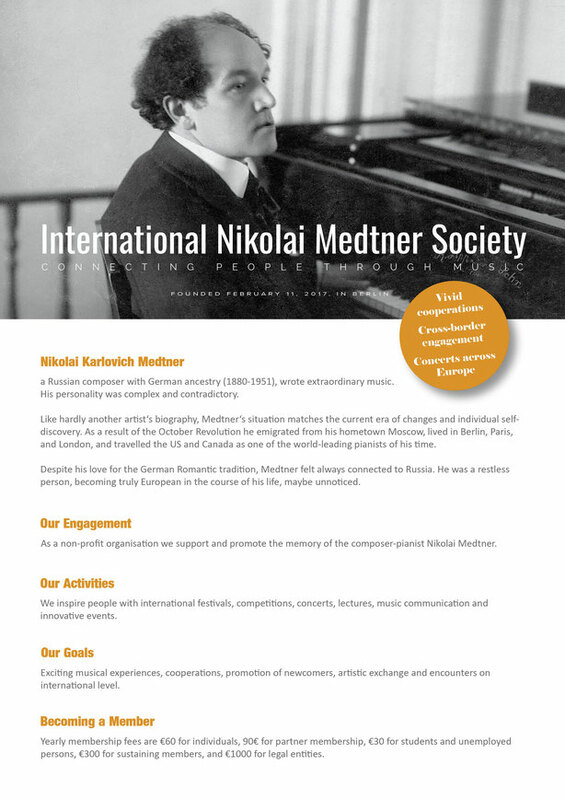 Welcome to the website of the International Nikolai Medtner Society - Internationale Nikolaj Medtner Gesellschaft e.V. 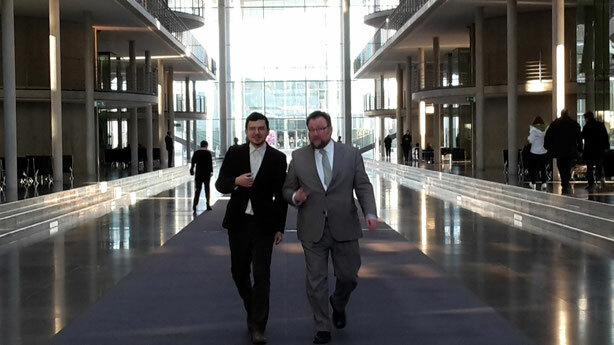 Our Vision: We plead for a strong connection within European countries and encourage collaboration and exchange. We advocate these goals through classical music, young artists and fascinating projects. 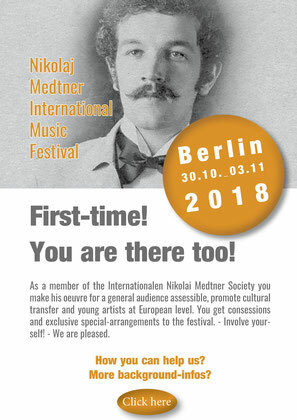 First projects: We organize an international competition and an international Medtner festival, based in Berlin, during the year of 2018. These ideas are based on our passion for music, communicative skills, and collaborative spirit.